“Information processing requires a lot of energy. Energy-saving computer systems could make computing more efficient, but the efficiency of these systems can’t be increased indefinitely, as ETH physicists show. Even in today’s information age, physicists and engineers hope to make use of this theory; it is becoming ever clearer that the clock rate or the number of chips used are not the limiting factors for a computer’s performance, but rather its energy turnover. 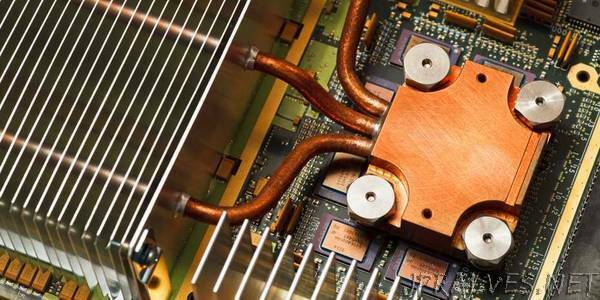 “The performance of a computing centre depends primarily on how much heat can be dissipated,” says Renato Renner, Professor for Theoretical Physics and head of the research group for Quantum Information Theory. Renner’s statement can be illustrated by the Bitcoin boom: it is not computing capacity itself, but the exorbitant energy use – which produces a huge amount of heat – and the associated costs that have become the deciding factors for the future of the cryptocurrency. Computers’ energy consumption has also become a significant cost driver in other areas. For information processing, the question of completing computing operations as efficiently as possible in thermodynamic terms is becoming increasing urgent – or to put it another way: how can we conduct the greatest number of computing operations with the least amount of energy? As with steam engines, fridges and gas turbines, a fundamental principle is in question here: can the efficiency be increased indefinitely, or is there a physical limit that fundamentally cannot be exceeded? For ETH professor Renner, the answer is clear: there is such a limit. Together with his doctoral student Philippe Faist, who is now a postdoc at Caltech, he showed in a study soon to appear in Physical Review X that the efficiency of information processing cannot be increased indefinitely – and not only in computing centres used to calculate weather forecasts or process payments, but also in biology, for example when converting images in the brain or reproducing genetic information in cells. The two physicists also identified the deciding factors that determine the limit. “Our work combines two theories that, at first glance, have nothing to do with one another: thermodynamics, which describes the conversion of heat in mechanical processes, and information theory, which is concerned with the principles of information processing,” explains Renner.